The Emporio Armani Sunglasses collection is a youthful line in the Giorgio Armani brand catalog, with a focus on contemporary designer styles for modern, trendy types. The Emporio Armani line of sunglasses are ideal for trendsetters who appreciate cutting-edge design that evokes a youthful, modern image. Stylish Emporio Armani EA4099 Sunglasses define the Italian tradition of fine craftsmanship and are based on modern optimism, open mindedness and value. 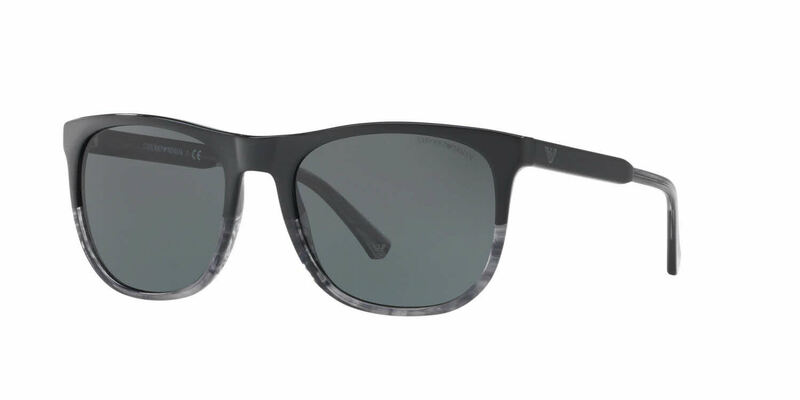 Emporio Armani EA4099 Sunglasses are ultra-sleek, fashionable, lightweight and comfortable and available in styles for men, women and in unisex models. Due to manufacturer's restrictions, Emporio Armani products cannot be shipped to Australia. Emporio Armani EA4099 is a Full Rim frame for Men, which is made of Acetate. Emporio Armani EA4099 Sunglasses come with a cleaning cloth and protective carrying case.